Among the stalwarts of Barcelona’s near decade of dominance of Spanish football there is no one that stokes the ire of Real Madrid like Gerard Pique. Pique is Barca’s best defender, leader, possible future president and principal provocateur to the Madrid fans and media. Yet, ahead of the latest meeting between the Spanish giants on Saturday, Barcelona, who trail Madrid by six points at the top of La Liga, need the positive side of Pique’s game and character more than ever. “With you it all began” are words the former Manchester United man has become synonomous with in Spain. His thanks to Colombian musician Kevin Roldan at Barca’s treble celebrations in 2015 for performing at Cristiano Ronaldo’s 30th birthday party that precipitated a Madrid collapse in La Liga sparked a wicked backlash. 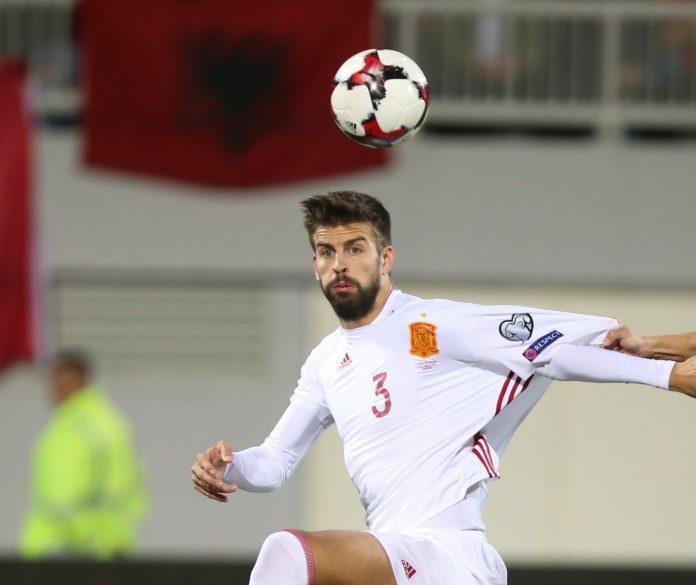 Pique was booed for months after even when playing for Spain. However, the roles may now be reversed. Madrid’s revival under coach Zinedine Zidane in 2016 began when Pique opened the scoring the last time the sides met in April. When Pique nodded Barca in front, the Catalans were set to move a mammoth 13 points clear in the title race. Instead, Real battled back to win 2-1, missed out on the title to Barca by just one point on the final day of the season and haven’t lost in La Liga since. Whilst the captaincy at the Camp Nou is awarded based on longevity, Pique is undoubtedly the leader of this Barca team now shorn of the likes Carles Puyol and Xavi Hernandez. Often chosen to face the media in the most difficult times, Pique also sets the tone on and off the field for a Barca side that has lost some of its identity this season. The champions had less possession in a match they didn’t win for the first time since 2008 in being thoroughly outplayed by Real Sociedad in a 1-1 draw on Sunday. “The performance at Anoeta was a disaster,” said Pique, who was brought through the club’s famed youth academy alongside Lionel Messi before returning to Barca in 2008 after a brief spell in England. “He expresses himself wonderfully. He has a great ability to communicate,” was Barca boss Luis Enrique’s reaction to Pique’s recent admission that he sees himself as a future Barca president rather than coach. “I would vote for him,” added Manchester City boss and still Barca member Pep Guardiola. Pique is far from all talk. Current Barca president Josep Maria Bartomeu admitted the club’s 220 million euro ($236 million) shirt sponsorship with Japanese online retailer Rakuten was initiated by a dinner set up by Pique and his world famous Colombian pop star partner Shakira. However, his outspoken nature has often caused a backlash. Pique has openly supported a campaign for Catalonia to be given a referendum on independence. In October he announced his decision to retire from international football after the 2018 World Cup after being falsely accused of cutting the colours of the Spanish flag off his shirt in the latest of series of spurious controversies questioning his commitment to play for Spain. In a match always charged with political as well as sporting tension, Spanish eyes will be peeled on Pique’s performance as much as Messi and Ronaldo.